Novel ways of thinking about the digital world are needed, says Bill Thompson, and perhaps the arts can help. One of the more interesting shifts in the technology world over the last quarter century has been the way that cultural organisations have gone from being the late adopters, inheriting office-oriented computer systems from business and making do with them, to being those leading the digital revolution in many areas. 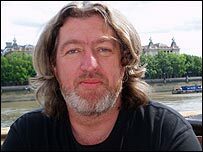 When I worked with the Community Computing Network in the late 80s it was hard work persuading charities and voluntary organisations that having a computer to handle their member databases and print letters was worthwhile. But now that there really is a computer on every desk and word processing, spreadsheets and databases are standard, arts organisations seem to be far more willing to engage and experiment with the latest tools, especially online. Many are making expert use of social media, moving from MySpace and Bebo to Facebook to follow the audiences, but also finding out how Twitter and other services can be used to help them engage and interact with people who may be interested in their art. The much-loved Pilot Theatre brought in virtual worlds expert Caron Lyon to built them a stage set in Second Life. The team at Hoi Polloi used video diaries, Facebook and Twitter to establish an online following that has supported them as they tour from their Cambridge base as far afield as Australia, offering new audiences a chance to discover their work in all its strangeness while also ensuring that fans - including me - know what they are up to while they are away. When it comes crossover organisations like Hide&Seek, who recently ran a social gaming festival in London, it is impossible to separate the art from the technology, and their work offers a real inspiration to those who wonder what the arts will look like in a digitised world. This cross-fertilisation is important in several ways. It obviously makes sense for those committed to experiment and exploration in the arts to embrace new technologies as a way of exploring the creative potential of a new domain of human activity, just as painters explored the radical new technology of oils for for many decades, or sculptors turned from marble and limestone to work with welded iron or novel materials like frozen blood. But there is something else going on, something deeper and potentially more important, because in working through the creative potential of new technologies artists of all types are helping us to find new ways to think about these tools and working out how to integrate them into our wider cultural and commercial practice. The point was made clear to me at Shift Happens, a conference on the ways arts organisations are using new technologies that took place this week at York Theatre Royal. Over a day and a half the audience, mostly made up of practitioners, was treated to a fascinating selection of arts-based technology, or technology-based arts, from the interactive animations of the always-engaging Sancho Plan through calls to ensure that tech-based arts are environmentally sustainable from Envirodigital and a demonstration of how to subtitle your online video from Internet Subtitling. It quickly became clear that the network revolution is already happening in the arts even if its success on the political stage is sometimes sadly limited, as we saw this week in Iran. I wonder, however, if we can take some old stories and use them to explore the new world. 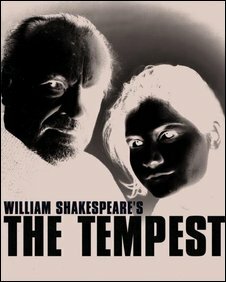 Take The Tempest, for example, Shakespeare's last play and one of his finest. Set on a remote island where Prospero, exiled Duke of Milan, lives with his daughter Miranda and a strange creature called Caliban, the Tempest explores issues of redemption and forgiveness and the use and abuse of power. Prospero rules his island thanks the the spells in the books he has studied in his exile, commanding the spirit Ariel to torment and manipulate his former enemies, who have been shipwrecked on the island by a tempest created at Prospero's command. A modern reading this tale would see Ariel as a representative of the digital realm, created from bits but able to have a real effect on the physical world. We discover during the play that Ariel was locked into a forked tree until released by Prospero, a good analogy for the effort needed to liberate the power of the digital revolution, represented by Prospero's books of spells. We can take this further. The witch's child Caliban believes himself the true inheritor of the island as his mother was banished there before Prospero arrived and fails to realise that Prospero's books have given him power over the unseen world that far outstrip Caliban's physical prowess, just as the rulers of analogue distribution fear the world we have conjured from our code. Be not afeard. The isle is full of noises, Sounds and sweet airs that give delight and hurt not. Today the thousand twangling instruments that Ariel and his sprites conjure up are replaced by millions of tweets, status updates, but they still fill the world with sweet sounds, and offer us a vision of a digital world that can be as rich and full of delight as we choose to make it. It's reassuring to see that some of our best artists are working hard to make that happen.